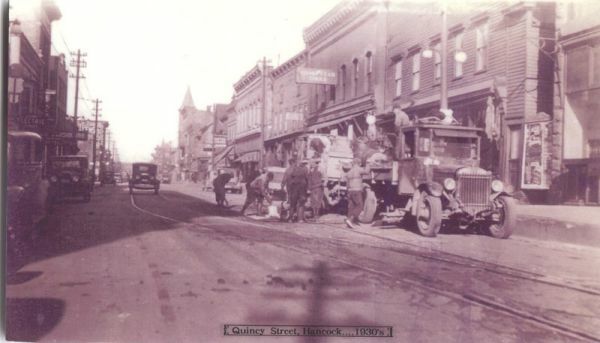 Quincy St., Hancock, MI...(circa 1930's)...Looking West from Reservation St. intersection. Note the Streetcar tracks in the roadway. (Photo courtesy of: Ralph Raffaelli, Houghton, MI ).